In Poland, major gas fields were discovered in the area of the Polish Lowlands. Gas fields are also known from the Carpathian Foreland and smaller ones – from the Carpathian Mts. and Polish economic zone of the Baltic Sea (map). About 75% of the gas resources are related to plays involving Miocene and Rotliegend formations and the remaining resources – to plays in the Cambrian, Devonian, Carboniferous, Zechstein, Jurassic and Cretaceous formations. In the Polish Lowlands, gas fields are related to the Permian in the Fore-Sudetic and Wielkopolska regions and the Carboniferous and Permian in the Western Pomerania. In these regions gas occurs in the massive and block-type reservoirs with the water or gas drive mechanism. In that area only couple of gas fields contain high methane gas. The remaining gas fields are characterized by the presence of nitrogen natural gas with the content of methane ranging from about 30% up to over 80% that is nitrogen-methane or methane-nitrogen mixtures. Gas fields containing natural gas with a nitrogen content over 90%, called as high nitrogenous natural gas (HNNG), are discussed in a separate section. In the Carpathian Foreland, natural gas fields are related to plays involving the Jurassic, Cretaceous and Miocene formations. 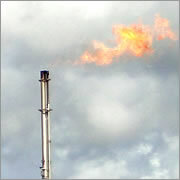 The fields usually contain high methane natural gas with a low content of nitrogen. The exceptions are few natural gas fields containing high nitrogen concentrations. In this region gas occurs in the structural-lithological multi-layer traps or, sometimes massive-type reservoirs with the gas drive mechanism. In the Carpathians, natural gas occurs in gas, oil-gas and oil-gas-condensate fields related to plays in the Cretaceous and Paleogene formations. The produced gas is characterized by a high content of methane (usually over 85%) whereas an average content of nitrogen is a few percent. In the Polish economic zone of the Baltic Sea, there are two gas fields (B 4 and B 6) and two oil-gas fields (B 3 and B 8). At present, the Polish Lowlands region accounts for 67% of exploitable domestic resources of natural gas and the Carpathian Foreland – for 28% of those resources. The resources of the Polish economic zone of the Baltic Sea and the Carpathians are subordinate, accounting for 4% and 1% of exploitable domestic resources, respectively. Table 1 shows exploitable resources of natural gas and the degree of exploration and development of the gas, oil and condensate fields in the individual parts of the country. The data given in the table refer to resources of natural gas of various methane content and are not converted to those of high methane gas (high methane gas = extracted reserves x combustion heat of real gas / combustion heat of high methane gas, that is about 34 MJ/m3). In 2017, exploitable resources of natural gas were equal 119.19 billion m3 (anticipated economic and anticipated sub-economic resources), that is 2.75 billion m3 less than the year before – mainly due to the production. There were 3 fields documented in 2017: Kramarzówka (with documented exploitable anticipated economic resources equal 1,272.89 million m3), Miłosław E (926.45 million m3) and Dzików Stary (16 million m3). The most significant resources growths were recorded for B 3, B 8 and Kryg-Libusza-Lipinki fields. The exploitable resources of exploited fields were estimated at 94.48 billion m3, which accounts for 79% of the total amount of the exploitable resources. In 2017, economic resources of natural gas were estimated at 50.61 billion m3. The total domestic resources given above include those of gas fields which are planned to be converted for the use as the underground natural gas storage facilities. The production from these gas fields has been stopped in order to use the remaining gas as gas cushion (base gas) throughout the time of operation of the storage sites. There have been 7 gas fields selected for conversion into underground storage facilities so far: Bonikowo (328.63 million m3), Brzeźnica II (45.59 million m3), Daszewo (27.72 million m3), Husów (372.88 million m3), Strachocina (121.5 million m3), Swarzów (28.80 million m3) and Wierzchowice (5,728.12 million m3). The total resources of natural gas to be used as gas cushions are estimated at 6.65 billion m3. In 2012, there was a permission given by the Minister of the Environment for Henrykowice E field (crossed out from “The balance…” in 2003) to be used as underground natural gas storage facility. Underground hydrocarbons storage facilities are also built in the salt deposits. There are 3 cavernous facilities – gas storage facilities Mogilno II and Kosakowo and the crude oil and liquid fuels storage facility Góra. As of the end of 2017, 11 licenses for running underground natural gas, crude oil and liquid fuel storage facilities were issued. In 2017, the domestic output of natural gas from the fields with documented gas resources was equal 5,009.12 billion m3 (Table 2), being by 0.064 billion m3 lower than in 2016. The figure below shows changes in domestic exploitable anticipated economic resources and production of natural gas in Poland in the years 1989-2017. The list of natural gas fields with their resources, production and the state of development is presented in Table 3. The fields which have been abandoned due to the resources depletion have anticipated economic or anticipated sub-economic resources documented.